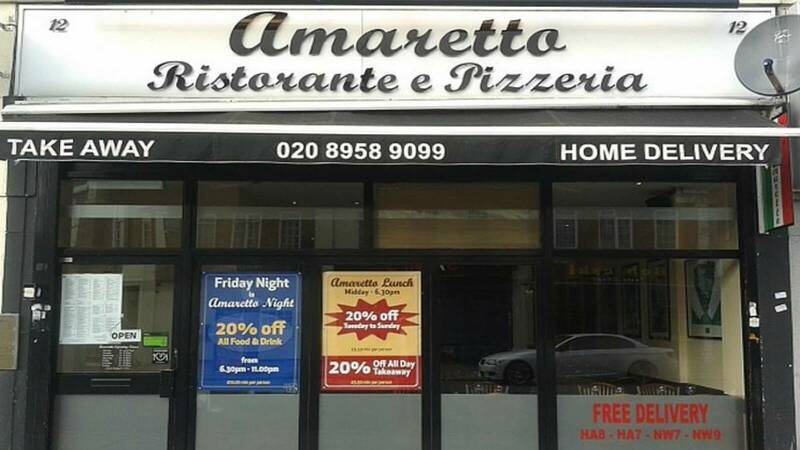 Amaretto Ristorante has been established in Hendon since the beginning of 2005 and under the management of head chef and owner Flo Bajari, serves up authentic Italian food at its best. Flo learnt his trade many years back in the southern parts of Italy and offers a true Italian taste all freshly prepared daily. Amaretto Ristorante has become a local favourite and most days of the week you won't see an empty table! On the menu you'll find a wide range of classic Italian dishes, Antipasti, Pasta, Pizza, Pesce, Carne and best of all some delicious homemade desserts too!